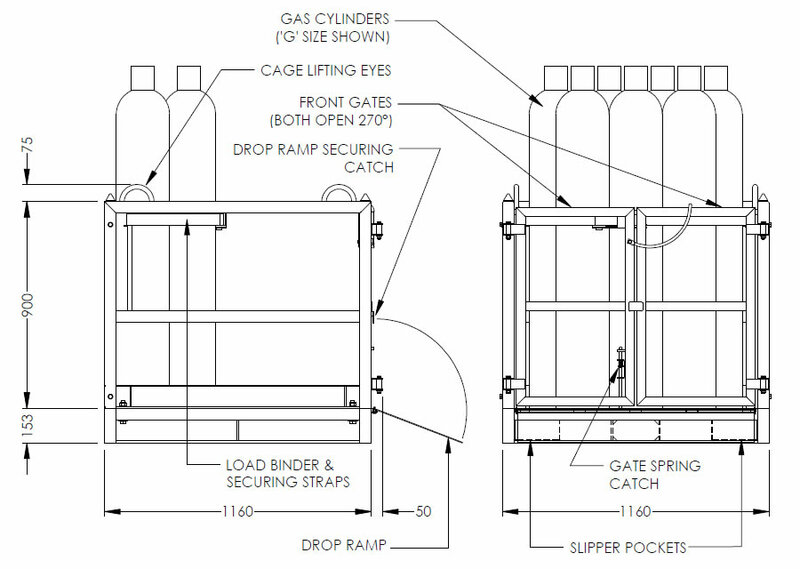 The type GB-SC-RP Gas Cylinder Storage Cage has been designed as a safety cage suitable for gas cylinder storage and transport. The Cage is fitted with a 4 point Crane lift, Forklift pockets underneath for transport and a loading Ramp. 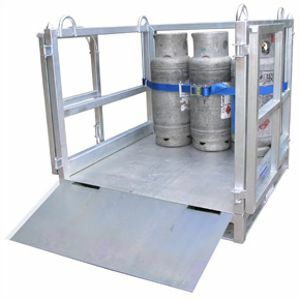 The Cage is supplied with Load Binder and straps to securely fasten cylinders of all sizes and combinations for transport and is stackable. The standard finish on the Cage is Zinc Plated.